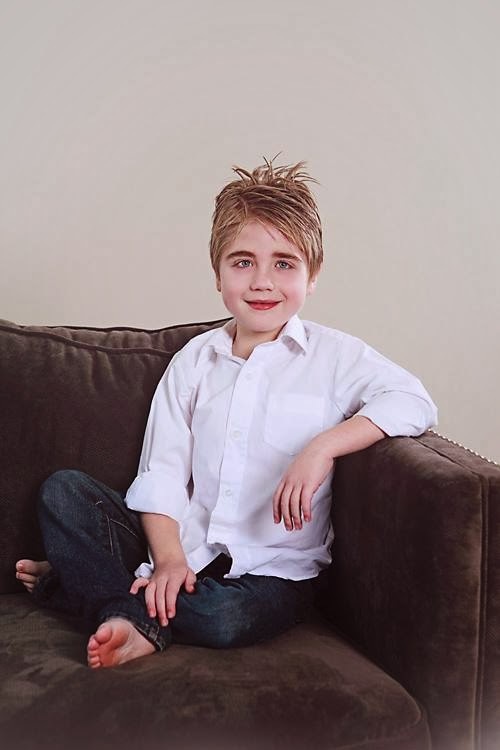 Recently I've found out there are still some of you out there who have read this blog and followed Noah's story and would like an update. This blog was originally started to help keep family updated on Noah's story and also to help me process the new life we fell into. It has definitely served it's purpose and hopefully helped a few along the way. Now that the new life has become our new normal, I don't feel the need to share or rehash every little thing that happens. It's just life and you learn to deal with it. That said, Noah is doing well, all things considered. His Annual Heart Cath and biopsy over the summer of 2015 shows that he has moderate vascular rejection (aka antibody rejection) and mild cellular rejection. It was decided to do monthly treatments of IVIG for 6 months to help treat the antibody rejection. During one of these infusions, we noticed that his O2 levels drop periodically for no reason. Since then, we've found out that it happens a lot but then comes back up. He had a breathing test done and had a bad reaction to the albuterol (which has never happened). We spent several days in-patient right before Thanksgiving trying to figure it out. No one could tell us what is wrong. His lungs sound awful but the XRay and CT scan look clean. I finally had to demand they send us home for Thanksgiving when they couldn't decide if it was Restricted Lung Disease or a really nasty pneumonia that immune suppressed kids tend to get. Since he didn't look or act sick, they finally agreed we could go home. Another trip to the hospital before Christmas to see Pulmonology landed him right in the OR 2 days after the Holiday where they put a camera into his Lungs to take pictures and samples of mucus. STILL no answers. It came back clean from Viruses and Bacteria. I honestly don't know what's left. They sent some samples back east to see if it's coming from his stomach or lymph system. I am worried it might be Plastic Bronchitis even though that is seen more in repairs than transplant. His next appointment is later this week. He'll have an echo to check his Heart function and all the other tests to make sure he's doing good. We'll take some labs to see if the IVIG is helping the Donor Specific antibodies and vascular rejection. He'll then spend the weekend in-patient for his next IVIG since the RTU did not feel comfortable doing it as out-patient. Hopefully I'll remember to update when I have more news to share. One other thing that happened was we received our first letter from his Donor Family. Eight and half years after transplant, it was the last thing I ever expected. I had written to them about a year after and never received a reply. For a long time that made me sad. I wanted to know them and thank them personally. I had finally come to terms with it and here comes the letter. I now know who his donor was and know his donor family. They don't know us or know that I know but I was able to figure it out. Maybe we'll end up having a relationship, I don't know. But for now, I am keeping the information private. Just know that they miss their loved one but find great comfort in knowing that their passing gave life to others. Organ Donation continues to be the greatest blessing to our family. When Noah was born I never dreamed that I would get to see him turn Eight and be baptized or become the star of his 3rd grade class. Without their selfless gift I would never have known his love for batman, video games, and slap-stick humor. I would never have heard him say "I love you, mom". I love my boy beyond words. I get to kiss him goodnight every night because someone said yes. The past few months have been really hard on Noah. Noah normally has his annual biopsy at the end of December but since he is now on year-round school we decided to move it to October and get it done while he was off track. I wasn't terribly worried about it. Just the standard anxiety of going in for any cath - they aren't my favorite. But there was also a part of me that was ready, almost as if I knew there would be rejection. And there was. Even though he had been symptom free he was in moderate rejection C3V3. Both cellular and vascular (antibody). He had the same thing last year but we were able to get it cleared up in January. Yet, here it was again in less than a year. His doctors labeled it Chronic. He continues to have rejection and then it clears and then it comes back ever since his first bout back in 2011 when we started the Cellcept. This time we decided to try an Oral steroid taper and come up on all his rejection meds. We have tried to keep them low to help his body fight off the BK virus but it was obvious now that we can no longer do that. After the Oral taper he had another biopsy; C2.5V3. Not enough improvement. He also had an increase in pressures (although they were still good) and I started noticing a remarkable increase in ectopy. He had a ton of PVCs and Brady's. We decided to do a round of IV Steroids. He was admitted a week before Christmas. It was also during this particular Cath that the Dr. found a narrowing of his Superior Vena Cava (SVC). This is the main vein where all the blood from the arms and head collect to go back into the heart and go to the lungs. This narrowing was causing the blood to back-up a bit before it could go into the heart. The pressure gradient was about 8. The Doctors wanted to fix it in just a few days but I told them no. He wasn't having symptoms yet and since this was the first time we had seen it, I wanted to wait. I also don't think it's wise to do such a risky surgery when his heart was already sick with rejection. This could wait. The reason this surgery was so risky is because of his pacer wire. That damn thing that I never wanted in the first place was no putting my son's life in danger a mere 20 months after it was put in. You see, the pacer wire had become attached to his SVC right were the narrowing was. Since you can't put a stent in on top of the wire, the wire would need to be removed first. This same wire was suppose to last 15-20 years! Now they would need to remove it but they could only do that when a Thoracic Surgeon was on hand because removing it could tear the SVC causing him to bleed out quickly. This would lead to Open Heart Surgery as a life saving option. 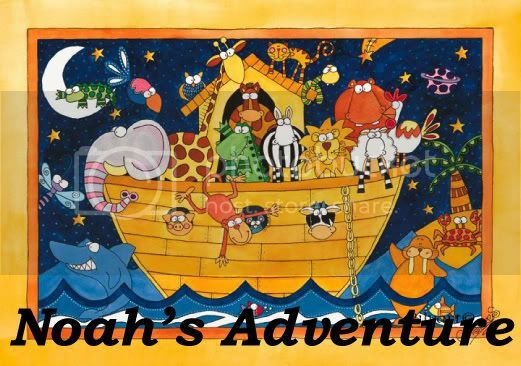 It's been my experience with Noah that what is normally easy always becomes complicated. I've lost track of how many times I've been told that "This is really rare" for something we are dealing with. It wasn't something I was in any rush to address. So we waited. Noah was in the hospital for a few days getting his IV steroids but was able to come home for Christmas. It was also about this time that he really started to get sick. Throwing up a lot, not eating at all, he lost a ton of weight, got really tired, and looked absolutely awful all the time. He was now doing the second Oral Steroid Taper after the IV doses and still taking all the Prophylactic meds to help keep him healthy while we wiped out his immune system. He had his 3rd biopsy right after the new year. Results were mixed. The great news was that the IV steroids cleared up his rejection! C1V1 (lowest levels possible)! But the SVC was still there and definitely causing problems. His Doctors were worried about it causing a clot that would travel directly into his lungs. And now that his rejection was gone, it needed to be treated. We got the hospital early that morning. Everyone was very serious. 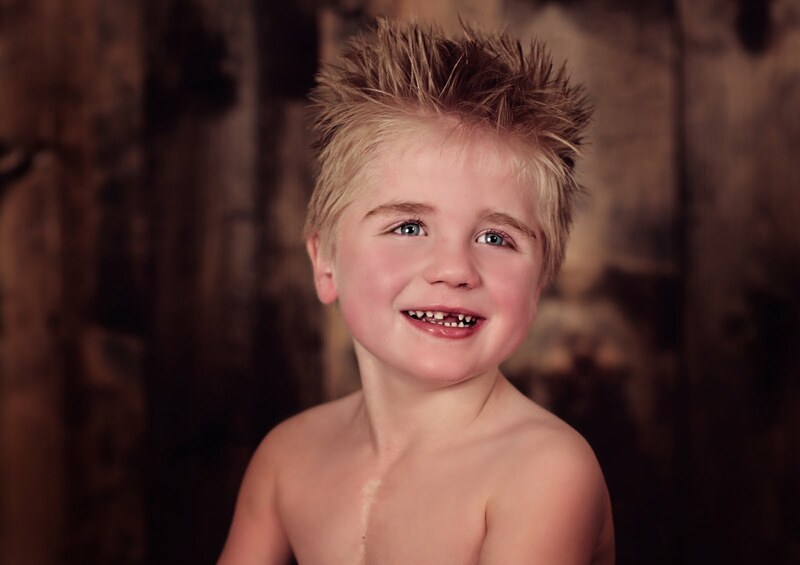 They were anticipating a 7 hour surgery with the possibility of it being longer if he ended up needing Open Heart Surgery. The Surgeon was at the ready. They took blood before hand so that they could type and cross match in case he needed a transfusion during the operation. I stayed with Noah until he was asleep. I kissed his forehead and left. The nurse said she would call me every hour to give me an update. I was too worried to eat so I sat in the hallway and tried to clear my thoughts. The first update came. Noah is doing great and we are done. So come on back! I couldn't believe it! I called Shane immediately to tell him and then headed back to talk to the Doctors. The Dr who performed the cath was able to balloon the narrowing without cracking his pacer wire. This meant the narrowing was fixed without even needing a stent. And since the wire wasn't damaged during the process, it didn't need to be replaced either. Noah was able to come home that night. The biopsy results came back C1V2. No cellular rejection but they did see an antibody immune response. Not enough to classify as rejection but still there. Doctors said he was officially rejection free! One thing we did decide to do was switch out his Neoral (Cyclosporin) for Prograf (Tacrolimus). He had been on Neoral since his transplant even though it wasn't as strong as the newer Prograf. It was our thought that we would save the other med as a back up option when and if it was needed. Shane and I finally felt like the time was right. To help keep this Chronic Rejection in check we switched to Prograf. This also caused his body to better metabolize the Cellcept. We really feel like this change will help him. But it was kind of freaky not giving him Neoral for the first few days. The other complication from the increased immune suppression is that the BK virus is increasing with every lab draw. We continue to do monthly IVIG but without the lower med levels, it continues to increase. We went to see an Infectious Disease Doctor who specializes in Transplant patients. She said that BK is one of the trickiest viruses. It's very similar to CMV and EBV in that it becomes part of your DNA. Even if the virus load is gone, it's not really gone. It also is harder to treat. CMV is super tricky and resistant and BK is even worse. She also said that him having had symptoms of BK in the beginning (the thickening of the bladder and the kidney reflux/kidney damage) was super rare. Even rarer that just getting BK Virus in the first place. **Seriously people, I laughed out loud! ** After explaining that we know all about "Rare Things" she said she anticipates that even though his virus load is increasing he won't experiences symptoms again. But since he already has once we would need to watch it. As soon as symptoms do appear he will need to take this very toxic antiviral med that is known to kill the kidneys. The problem is that once he starts having symptoms again, the BK virus is killing his kidneys anyways. This antiviral med will take several WEEKS of an IV infusion. Until then, he will need a Urinalysis every 2 weeks to check for blood. Blood at the microscopic level will tell us the virus is starting to cause problems long before it has time to begin the symptoms he had last time (like peeing blood). This has been a hugely complicated issue. The rejection, the BK virus and the SVC narrowing. The last 3 months have been incredibly stressful. It's been so hard watching Noah go from healthy to sick so quickly. He is so pale and thin and tired all the time. But I think he's finally starting to improve. He hasn't thrown up in a week and a half. And it seems that his appetite is slowly increasing. He needs to put on some weight and get some color back in his face. For now, the plan is to continue the IVIG every month for the full 6 months. Then we will check his native IGG level and possibly continue the infusions to help ward-off the BK symptoms. He will have another transplant clinic in a month and we'll determine when the next biopsy will be. He will have UA's every 2 weeks until we see blood at which point he will start the new antiviral med. His daily meds are Cellcept and Prograf with a small daily dose of Prednisolone. Not sure how long he will stay on the steroid but for now it's okay. And if the narrowing of the SVC comes back we'll try ballooning it again in hopes that pacer wire can last as long as possible. There is so much more to this story. Faith, prayers, fasting, service, love, revelation, and more. I want to keep as many of those details private as they are very dear to my heart and also very sacred to me. But in case anyone reads this who participated in the prayers and fasting for my sweet boy: Thank you so very much! I have no doubt that your prayers and sacrifice were seen and heard. Your faith and service contributed to this miracle. I felt your love and I know it helped Noah through this as well. Things could have been so much different. You have my eternal love and gratitude for serving my family in this way. Saying Thank You isn't enough. I'm not the Doctor. I'm just the mommy. And there are times when the mommy should trump the Doctor. He seemed to show improvement after the steroid dose and pacer. He started eating better and feeling better and he stopped throwing up. Well, now he's doing all of that again. The poor kid has lost a ton of weight and looks like you would find him in a concentration camp. I expected some weight gain after the steriods but we saw nothing. After his last cath the cellular rejection was a zero so they cut his steroid in half and planned a course of treatment for antibody rejection. Almost immediately he started feeling too tired. His resting heart rate was way too high for him. He stopped eating as well, looks super pale, he started throwing up after meals again. I'm telling you. Something isn't right. He needs more treatment. Denver agrees. Now I just have to convinve Primarys to agree. I don't think another cath is going to show the localized/patchy rejection that I've suspected from the beginning. But he needs to be treated because his symptms aren't getting better. Regardless of the tests! Plus, sending him home and tellin me to watch for symptoms - the SAME ones I just told you he is having is so not helpful! It's been a very long time since I've updated Noah's blog. I guess it's safe to assume all has been going well and I didn't have much to share. Until this past month that is. The past few weeks have been such an overwhelming experience that I've had to wait until I could process it all before I could share it here. But now that I'm ready to share, I need to start at the beginning to fully chronicle and explain the situation. In 2010 Noah has his yearly cath in Denver. He hadn't had one in 2 years but had been doing really well. He was only on one immune-suppression med (Neoral) and didn't have any signs of rejection. Unfortunately, his biopsies came back with a cellular rejection level of 1R on the International scale. It was decided that, because he wasn't symptomatic and 1R is very low, we wouldn't do any treatment. But instead of waiting 2 years, he would come back the next year. Fast forward to 2011. 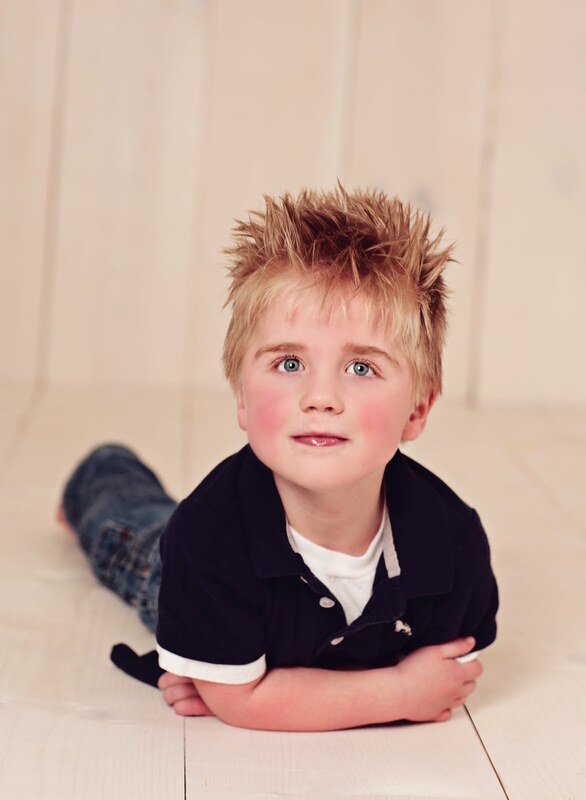 Noah was now on his one immune-suppression med and we had added a blood pressure med to try and help his blood pressure. The morning of his cath (in Denver) we did an Echo and for the first time I noticed his heart rate was all over the place. Ranging between the 40's and the upper 90's. I always watch real close and had never seen this before. Instantly, I was on alert. The only time Noah has ever had rejection before it was right after transplant. His biopsy came back zero but he was having erratic heart rates and arrhythmia's. That eventually lead to PVCs and SVT. Once we treated for rejection, that all cleared up and his heart rate/rhythms went back to normal. So seeing his heart rate jump around was an instant red flag. My concerns were confirmed when Noah's heart rate dropped dangerously low during the cath procedure requiring meds to bring it back up. The biopsy results came back at a 1R again. This time, we decided we needed to do something. But since Shane and I didn't want to stay in Denver for 3 months for treatment and his level was still really low, we were able to do a 10 day oral steroid taper and see if that would help. We also added a second immune-suppression med (Cellcept). When we came home and followed up with our local hospital Noah's Echo's looked good, his ECG's were okay, but we noticed his heart rate was now sitting in the 60s. Not the 80/90's it previously did during rest. We continued to watch him closely but in November (3 months after his cath) he developed UTI symptoms that progressed quickly and ended up with Noah peeing blood every 5 minutes and being in a lot pain. Alison (Noah's Transplant Coordinator Super Star) suggested we test for the BK virus. It came back positive. It's a very common virus that the majority of the population are carriers for but without symptoms. In the transplant/immune-suppressed population, it can cause serious symptoms that can lead to Kidney Failure and eventually a kidney transplant. 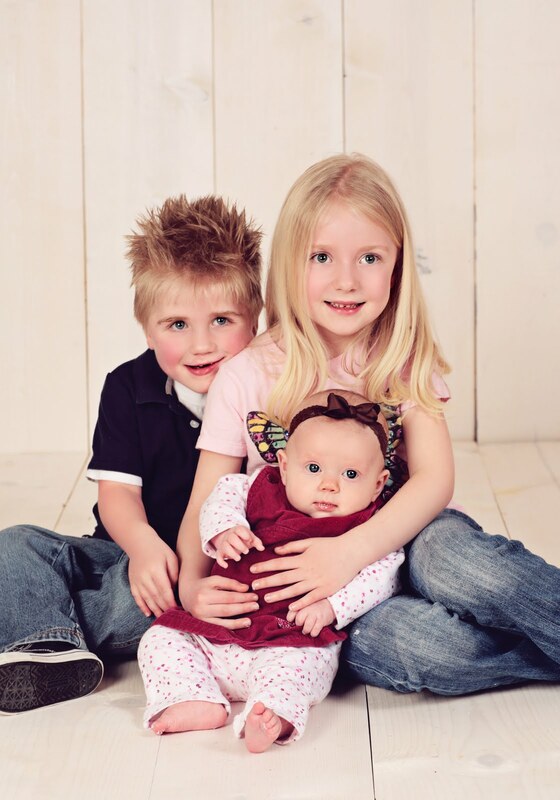 We thought we had things under control and Shane and I attributed Noah's increasingly horrible behaviour on all the sensory issues he had dealt with during these tests and treatments. His behaviour continued to get worse but I didn't see any rejection symptoms that had me overly concerned other than his low heart rates. Then toward the end of January Noah stopped eating. I watched closely but thought maybe it was just a phase that would pass. The big sign was that he stopped drinking his carnation bottles too. There have been times when he hasn't eaten very good in the past but he ALWAYS drank his milk with carnations. About two weeks into the no eating, I forced him to eat some breakfast. 5 minutes later he threw up. That is a HUGE warning sign. But we didn't want to rush it in case it was just a tummy bug. The next day, the same thing happened. He had a few bites of breakfast and 5 minutes later he threw up. Now my Warning Sirens were going and I called our Local Transplant Coordinators in a panic. This is where things get hairy (and the very long story continues). I called and called and called and couldn't get a hold of anyone. I knew he needed to be seen that day and I was running out of time to get him in there. No one was returning my voice mails and the hospital operator refused to page the on-call coordinator during regular business hours. I FINALLY got a hold of them and they fit him into the schedule. His echo was the same, his ECG was the same (but low heart rate) but his symptoms were worrisome. But it was decided to send him home and maybe come back again next week. As we left the hospital, I call Alison to keep her updated and she was not happy. His symptoms really worried her and she asked to call me back after she had talked to Dr. Pietra. When she called me back, I was not at all ready for her response. "Come Now!" She wanted us on a plane that night. I instantly started questioning myself. Wondering if I was over-reacting. Going to Denver so unexpectedly, possibly staying for several months, what would I do with my other kids.... it was overwhelming. After talking with Shane and knowing that a HUGE snow storm was hitting Denver the next morning and thinking my flight would be delayed anyways, we decided to wait the weekend and if he wasn't better by Monday, we would go. In the mean time, Alison spoke with the team at PCMC and they decided to take the situation a bit more seriously. They now both agreed that we needed to do a heart cath and biopsies. They were also willing to do it here in Salt Lake so we didn't need to go to Denver. The next day Noah went in for a Heart Cath. PCMC does their biopsy results a bit differently than Denver. In Denver, they rank the cellular rejection on the International scale and then look at the vascular function (like the Coronaries) and the Donor Specific Antibody blood count. At PCMC, they have two scales. A C Scale (Cellular rejection 1-5) and a V Scale (Vascular or Antibody rejection 1-5). Plus they look at the DSA (Donor Specific Antibodies: Antibodies that your body makes specifically targeting the donor organ). This cath showed that his Cellular rejection had gotten better (it was now a 0) but his AMR (Antibody Mediated Rejection was now a V3. The DSA also showed his body was making Donor Specific Antibodies. Due to his symptoms (low heart rate, not eating, throwing up, looking pale, being tired) and his biopsy results, Noah was admitted to the hospital Friday morning. The plan was for 2 rounds of IVIG and 6 doses of IV Steroids. I went into the treatment expecting his heart rate to return to normal and for him to get better. But watching his heart rate on the monitor that weekend I realized very quickly that it wasn't getting better. It was actually a lot worse than I expected. It was more than just a slow heart rate. Noah was having lots of PVCs, skipped beats, extra beats, and even something that was entirely new to me. Something called Junctional Escape beats (or something like that). I was told that those are the types of beats that can kill you. Your heart just stops beating. As long as he was having them, he couldn't go home. It was decided that Noah was having something called Sinus Node Dysfunction. (I'll try to explain that: the heart has a built in pacemaker, the part of your heart that makes your heart beat. The first part is the Sinus Node, then it goes to the AV node, then to the bundle of HIS, and on to the bottom of the ventricle [I might be explaining this wrong, don't base your medical degree on my explanation]. The part that is suppose to fire first, the Sinus Node wasn't always working. Normally, the AV node would pick up and start the heart but even then, sometimes it wasn't firing either. This was all causing the super low heart rates and when the AV node miss-fired he was having the escape beats.) Dr. E at PCMC thought this was now a permanent result of the ongoing rejection. She said it wouldn't ever get better and that Noah now needed a pacemaker. Denver said they wanted to try a more aggressive medication route first (which is standard treatment for all rejection there). Shane and I thought and prayed about it. And while the heavy duty medications scared us (they aren't without risks of their own) we felt that we would rather treat for rejection before assuming it was permanent. As the ONLY way to know for sure that this wasn't going to get better was to try and treat it first. Dr. E refused. It was her medical opinion that it wasn't going to get better and she basically gave me an ultimatum. PCMC or Denver. But if we chose Denver, ALL his care had to go. They weren't going to even facilitate check ups anymore. That would mean going to Denver every 3-4 months for Echos and routine Dr appointments. This would have upset me no matter what, but add in the pregnancy hormones and I was a complete mess. I usually stay very analytical and rational during these discussions so that I can process what the Dr's tell me and save my crying for a more private setting. Not this time. I could not stop crying! You see.... Noah received this amazing gift of life with this new heart at 26 days old. Having it last him even 20 years is all that's been seen so far. My prayers are that it lasts him MUCH longer than that. I pray for a very long lifetime for him without needing another transplant. But to tell me that at 4 1/2 yrs old his heart is already permanently damaged is heart breaking to me. Dr. E agreed to discuss it with the other transplant Drs in the state the next morning and see if any of them thought it was a good idea to try the medication first. She came back and still said no. I feel like I plead my case as well as I could. I told her that we couldn't go to Denver. There was no way I could split our family up like we did when Noah was born. We had to stay together. So I didn't want them to tell me to chose between them and Denver. What I wanted, was for her to make me feel more comfortable with the Pacer decision. Could we compromise? Was there another step we could take before doing this permanent procedure that wasn't without it's own risks and future complications. I begged, I cried, I pleaded.... and she still said no. I can't even begin to tell you how this made me feel. But to try.... I felt like my rights as his mother were taken away. We were no longer given a choice. It was their way or the highway. I felt 100% forced into this and it was overwhelming. Didn't my opinion as his mother count for anything? I mean, they wanted to send him HOME in the first place. It was only my concern and Alison's pressuring that even led them to take this whole thing more seriously and yet, now they knew better than all of us. I was angry. But when it came down to it, we had no choice. We couldn't go to Denver and live in a hotel and split up our family or take Lilly out of school... we were stuck. The procedure was scheduled for the following day. I was told that once they got in and did the testing they would determine if he needed just a sinus node pacer or if he would need a dual chamber (sinus node and AV node pacer). If he needed the dual chamber, he might have to have his chest cracked open to put it in. I was very firm in telling them that if they decided he needed his chest cracked then they had to stop and I WOULD be moving to Denver. (It was a very serious HELL NO). Luckily, he didn't need that. They had a very hard time placing the lead through his vessels but were finally able to get it placed without complications. He now has a Pace Maker in his upper left shoulder that paces his heart at 80 beats per minute. While resting, it paces 100% of the time. I'll find out during further testing how much his heart beats on it's own while he's active. The entire stay was very hard on him but he did surprisingly well. The hardest part was getting the IVs. 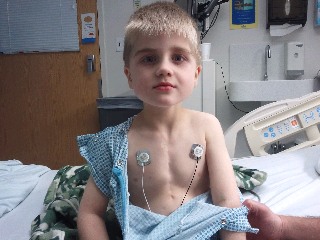 Right before his pacer procedure they needed to place another IV. I requested the best of the IV team (but I don't think they sent the best). They tried twice and couldn't get it in and I told them they had to stop. They would have to place it after he was asleep in the cath lab. Afterwards he was SO upset. He looked at me and asked if he could have a carnations. But since he was going in for surgery he wasn't allowed and I had to tell him no. It was the saddest thing. He wasn't scared or freaking out. He was utterly and completely sad and pulled the blanket up over his face to cover his emotional pain. Just thinking about it makes me cry. I climbed into bed with him as I bawled and hugged him tight. The poor boy has to go through so much. Sometimes I just seems like too much. I wish I could do it all for him. After being in the hospital for an entire week, he finally got to come home. He came home on 13 medications including increased immune-suppression levels and an Oral Steroid taper. His next cath and heart biopsies was scheduled for a week and a half later. That was three days ago. Results came back that showed he was still a V3 and his DSA hadn't changed. Not better but not worse either. It was decided to keep him on the steroids a bit longer, proceed with the IVIG infusions once a month and recath him in 6-8 weeks and check the rejection level again then. If symptoms get worse, his pacer has to pace him 100% (showing his heart isn't beating well at all on it's own) or if the biopsies show increased rejection during the next cath we will need to treat it more aggressively. The plan would most likely be ATG (a super immune-suppression med that lasts nearly a year and suppresses the T cells that can cause antibodies) and a procedure called Plasmapheresis (which is like dialysis for the blood but gets rid of existing antibodies). I hear the Plasmapheresis is horrible and I REALLY hope this rejection clears up on its own. This whole situation has been overwhelming. Not only is it hard enough to face the reality of Noah rejecting his heart and having it damaged and needing a pacemaker but add on top of that feeling pressured into a treatment we weren't ready for and this past month has been horrid. All the hormones I have going on right now have made it even harder. But I'm trying really hard to come to terms with it all and not be angry at the hospital. I know that they were just doing what they felt was best. I just wish things could have played out a bit differently. Shane and I both prayed that whatever was best for Noah would happen. And since the choice of treatment was taken away from us, all we can do is have faith that what ended up happening was for the best. Ultimately, we have to put it all in God's hands and trust that He is protecting and watching out for my little man. 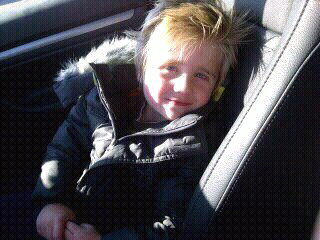 One good thing that has come of all this though is that Noah is feeling better with his heart rate not being so low. His behavior has gone back to a manageable level of freak outs. But best of all, he has started giving kisses and hugs again. And even tells me he loves me. It has been MONTHS since he has felt well enough to show any form of kindness. The day after he got released from the hospital he came up to me and told me how he was going to play with all of his trains at home while Mom and Dad and YeeYee and Bay Aayee were all home too. Then he says "I so hapeee!" Talk about melting my heart! Then a few days ago he was saying Mom? Mom? Mom? I said, Whattrains at home while Mom and Dad and YeeYee and Bay Aayee were all home too. Then he says "I so hapeee!" Talk about melting my heart! Then a few days ago he was saying Mom? Mom? Mom? I said, What Noah? and he replied "I ove ooo!" I ove ooo too my sweet sweet boy. I've been half-heartedly trying to potty train Noah for a while now. I never put much effort into it thought because no matter how many times we sat on the potty, he would never go. He never acted like he could feel the sensations. His therapists told me that kids with sensory issues tend to train later so this didn't surprise me much. But for the last several months, every time I changed Noah's diaper, I would tell him that we don't pee or poo in our diapers. We go in the potty. Then I would ask him, "Noah, where do we go pee pee?" And he would always say "In the Potty!". 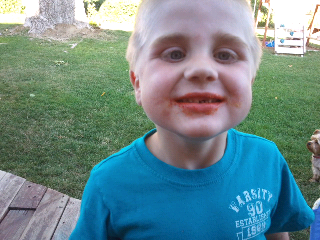 Well, the other day Noah came up to me and said (for the first time ever) he needed to go potty. So I took him to the bathroom and he sat down. And nothing happened. I decided to go ask Shane to come in and maybe he could "show" Noah how big boys use the potty but when I came back I found it wasn't necessary. He had gone pee pee in the potty for the first time EVER! I guess he just had a little stage fright with Mommy in the room. We made such excitement over this. We jumped and clapped. We high-fived and danced. We ran outside to tell Daddy "I did it! I pee in the potty!". Miracle One...Check! Miracle Two? He has gone pee pee AND poo poo in the potty all on his own, EVER SINCE! I kid you not! He goes in and sits on the training potty and then dumps the pee pee in the big potty, ALL ON HIS OWN! When he needs to go poo poo, he sits down on the big potty and goes. It absolutely blows my mind. Uhm, hello? He went from ZERO, NADA, ZIP potty training progress to BAM! No accidents. This is, most definitely, a tender mercy to weary mommy. It also gives me hope for all of the things to come in the future and what this kid is capable of. It seems Noah just makes awesome leaps in developments around the time of his birthday. Last year, when he turned 3, he finally started talking a little bit. He would make sounds that were the beginning parts of words instead of just grunting and screaming. Since then, he's made tremendous progress. And, just recently, he did it again. With his 4th birthday, he potty trains and starts saying his first FULL words consistently without having to see me say it first. Noah has done some amazing things since he was born. I still get amazed when I think about how sick he was and how close we came to losing him so many times and yet now he's the most energetic little man I have ever seen. His capacity to love is extreme. His tenderness is unmatched. He teaches me so much, every single day. I am truly honored to be his mother. 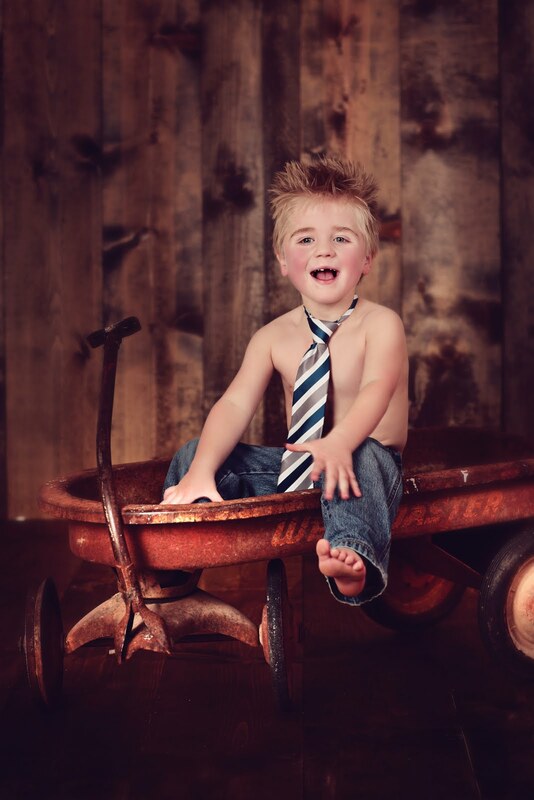 Right now, Noah is coming to the end of his first year of preschool. While he's made tremendous growth during the past year, I can't really attribute any of it to his schooling. 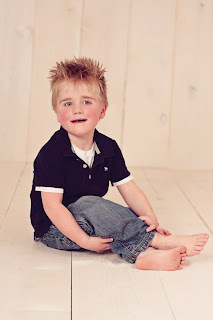 Most if his progress is from things we have worked on at home or in private speech therapy. This has left me with some concerns over how I should address his education in the future. Homeschooling has been very much on my mind but I worry that I'll have enough time to really focus on it while also working full time. In preparation for his next year of preschool, Noah had his IEP (Individualize Education Plan). For those of you not aware of what an IEP is, it's basically a plan put in place with the school to address Noah's personal needs. It lists his goals and what items or accommodations he might need to reach those goals. After considering what might have contributed to this past less-than-stellar year, I decided that Noah's original goals, and how they were addressed, was the underlying problem. 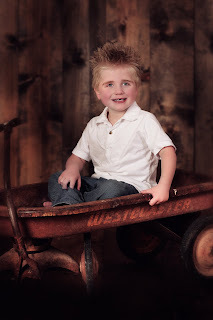 They had been working on basic low level goals and when he wouldn't participate due to sensory issues, disinterest, or even just because he's 3 they assumed he couldn't do it and never pushed for more. This year, I went in prepared to really lay out what I felt he needed to be successful. And also some items that would help me track his progress and work. I suggested his ultimate goals be age appropriate based on requirements for starting school in an average kindergarten class. Even though these goals will push him, I am much more comfortable with a 50% attainment of something that is a challenge than 95% attainment of something easy. I now feel much better about the whole thing. While I still have a few reservations about how much the teacher is actually involved in the class, at least now I have a legally binding contract to help get Noah what he needs. It also addresses his personal learning style. See, he is very HIGH-INTENSITY! He needs positive reinforcement. Lots of cheers and high-fives and screams when he gets something right. Without it, he quickly loses interest and shuts down. He also needs sensory integration assistance like jumping on a tramp, swinging, throwing balls. Without it he can't focus or pay attention. But all in all, I really am amazed at all this kid can do. He knows his entire alphabet. He can recognize all the letter. He can count to 12 all by himself. He can count items (not just saying the numbers). He's almost got all his colors memorized (this has been a hard one for him. I've often wondered if he had some colorblindness going on). Me: Okay, when Dad gets home from work you can give him a hug. Me: Yes, When dad gets home from work he'll give you a hug. Uhm... hello!! That is absolutely AMAZING!! Even in just the past few months he's made tremendous progress with his communication. There are still many times and circumstances when communicating his hard for him. If he's upset, embarrassed, sad, tired etc. he may not even be able to get any words out. He relies on gestures but sometimes even that doesn't work. It can be very frustrating for him. But he's learned ways around his mouth not working. For instance, there are certain sounds that his mouth just has a hard time making. But he's learned that if he plugs his nose, it helps the right sound come out. So now, every time he says Shoes, he plugs his nose. Sure enough, instead of saying "Goo and socks" and plugs his nose and says "Shoes and socks". Just goes to show that even though his brain and mouth had a hard time communicating, he is a very smart and resourceful little guy. But one of my greatest joys with his development is his interaction with Lilly and Allie. He follows Lilly around like a little puppy. They play games and even argue over whose turn it is to pick the movie. He's sweet and gentle with Allie. Gives her kisses and always asks me if Allie is sleeping so he knows he needs to be Ky-It (quiet). I think about how much desire Noah must have had to be here on earth and experience life to get him through the pain he experience during the first year of his life. Of how much he continues to fight to be here and learn and grow. Things haven't been easy for him by any means. And yet he keeps fighting. He keeps trying. He never gives up. I am in awe of his strength and determination. And I'm humbled by his sweetness and tenderness. It's impossible to be around him and not know that he's someone very special. I am truly blessed to be his mother. Man, I love this little guy. I look at him and I'm just amazed at how far he's come, the odds he's beaten. I'm so blessed to have him. Noah's thing right now is all about kisses. He won't leave my side without giving me hugs and kisses a couple times then he blows me kisses as he walks away. When I'm in feeding the baby he will pop his head in and blow me kisses. Then, when Shane is at work he tells me over and over that he wants to give Dad a hug. "Da hu?" "Yes, you can give dad a hug when he gets home from work." "Hoe wor?" "Yes, when he gets home from work." "Yay!" Then he kisses my arm and blows m kisses as he runs off to play. This repeats about 60 times a day. "That's the love sac but you can call it a bed." Pointing to the couch, "cow" and pointing to the other couch "Cow. Two cow.?" "That's right buddy! Two couches! Good job!" Then he counted the windows too. The other day he was counting in the car and he counted to 12 all by himself. He also knows his letters and the alphabet. When driving, he spells out the words he sees from the car. He doesn't know what they spell but he recognizes the letters. Last Sunday he shocked me by saying T..E...X..I...C...O... when we stopped near the gas station. He's still working on his colors. He knows the color names but doesn't quite get the name for the right color. He loves to say yellow. It comes out like "yewweee". Too cute. His tantrums are getting better. At least for me. He gets so excited playing with dad that he ends up having major breakdowns when play time ends or if he thinks Shane isn't paying him enough attention. Or heaven forbid Shane try to use the restroom and shut the door. The other thing he does is ask me if we're going to the dr's every day. "We go da daa me?" Or if we are going to school or staying home. He's very interested in what we are doing. He still couldn't survive without vanilla carnations but he is growing and getting bigger every day. He has also started playing with Lilly and wanting to do everything she is doing. I wondered if that day would ever come and I'm so happy to see it here. Yesterday Noah had an echo to check up on that precious heart of his. Its beating strong and looking healthy. And once again I'm reminded of the amazing gift that has been given to us. I hope his donor family knows how greatful we are. 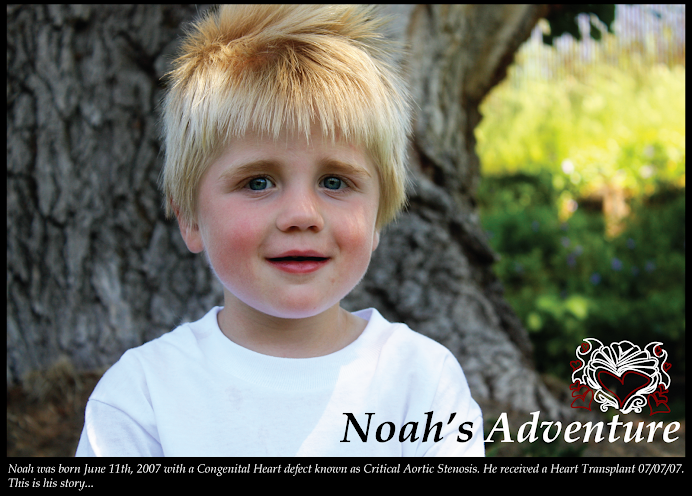 This summer we will take a trip back to Denver for Noah to have a heart cath. They will take biopsies and make sure there is no rejection on a cellular level. I can't say I'm looking forward to that but the kids are excited to go to McDonalds work again (the Ronald McDonald House). All in all.... I'm pleased with the progress Noah is making. I love his sweetness and adore his toothless smile and I always remember how lucky I am to have him one more day.